Can you give me an overview of Tax Liens? Taxes are used by the government in order to pay for community services. However, if taxpayers become neglectful on their income tax bills and property taxes, the government will not have the money it requires to provide for these services. So as to recoup the loss, the government will then place a lien on the taxpayer’s personal property and they can even sell it. 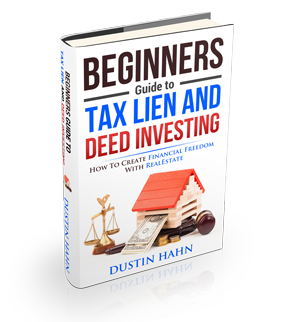 Local taxing authorities can only place a tax lien on the property when the tax is due. But the federal government has more leeway and can seize any personal property for the amount due on the unpaid tax bill. The feds can also lien a property that he may purchase in the future if the tax bill is still unpaid. Once the real estate and personal property have been liened, the government can then offer these things at auction so as to recoup the lost revenue. For smaller items like cars, boats, etc., the auctions are conducted in traditional bidding process, having the buyers bid against each other. On the other hand, sales on properties are handled a little differently. Though there may be some deed sales that offer outright selling of the property, the most popular tax lien sale of properties are in the forms of tax lien certificates. This lien certificate allows the taxpayer more time to pay up their debt by permitting a third party investor to pay for the tax debts for the taxpayer, with a promise of reimbursing their investment with an interest within a specific time.